On May 20 and 21, the 4th game of 66th Meijin-sen 4-win match between Meijin Moriuchi and Challenger Habu took place. 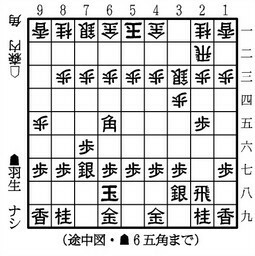 Habu was Sente player this game and he won it in 95 moves. After the long opening until the supper break of the second day, the middlegame started and it proceeded quickly then. It seems Meijin Moriuchi should have chosen Sennichite instead of entering into hostilities. Today is the 2nd day of the game. Habu is a Sente player. 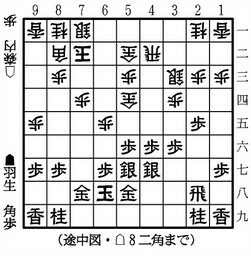 The sealed move(32nd move) was P-6d. Habu won the game and now leads the score in 3-1. Today is the 1st day of the game. Habu is a Sente player. 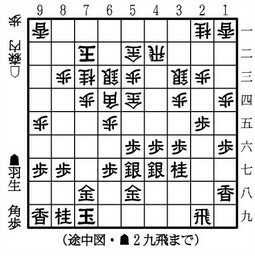 The opening strategy is Gote's Itte-son-Kakugawari(Bishop exchange with one tempo delay) and Mukaibisha(opposing Rook). 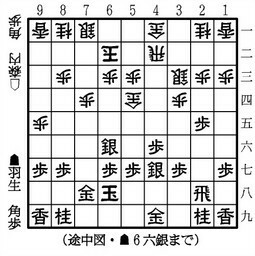 The 4th game of 66th Meijin-sen between Meijin Moriuchi and Challenger Habu started at 9:00am today. It is a two-day game so I think it will end tomorrow evening. Before the game, the score is in 2-1 led by Habu. Habu is Sente player in this game. The video below is the start of the game. Official watchman is Kiriyama Kiyozumi(9 dan). 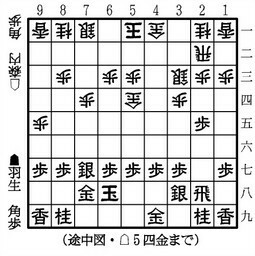 Habu's first move was P-7f while Moriuchi's was P-3d. Link to an article titled "Shogi and Me"
Link collection of responses to J-Drama "81diver"
Here is my link collection of responses to J-Drama titled "81diver"(ハチワンダイバー、Hachi-one diver. 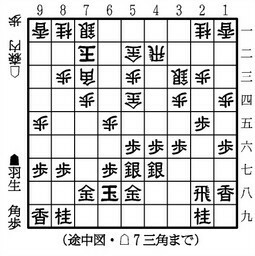 The main characters are strong shogi players but not profissional based on the manga of the same title wrote by Shibata Yokusaru. It currently airs in Japan every Saturday. I hear English subtitle versions are avaialble somewhere. "Anyway the live action version is alright but you just can’t capture the ridiculous art of Shibata in live action." "This season's unchallenged winner for "stupidest crack jdrama"." From this game, live-video is available to watch. 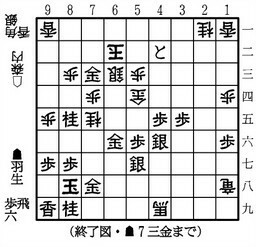 Yauchi is Sente(black) in this game. The game started at 10:00am(Japan Time). The thinking time per player is 3 hours and 60 second byoyomi after consuming it, so I think it will end before evening in Japan today. You can watch live pictures by the webcameras beside the players and many photos related to this game to be uploaded frequently through the following pages. 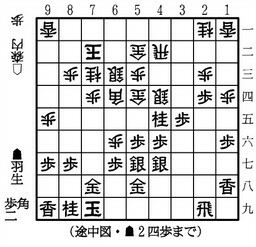 Daily Yomiuri Online introduced an famous anecdote including the word "shogi" among Japanese in English. Hideyoshi (1536-1598) liked one of Shinzaemon's scabbards so much that he decided to reward the retainer. You can follow the link above to read the end of the story. Toyotomi Hideyoshi is a Sengoku Period Daimyo who unified Japan in the 16th century. 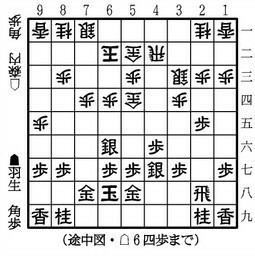 I think this anecdote suggests that shogi was already popular in Japan in that century. 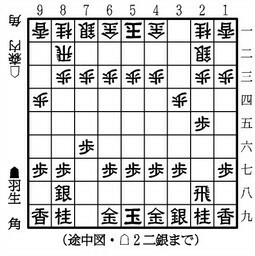 According to an article in the shogi forum of boardgamegeek, a new shogi blog has been created. 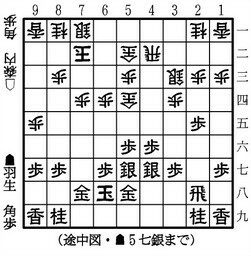 The name of it is Between Chess and Shogi. You can read it through the link below. There are two articles so far now. I hope it will updates frequently.